Monika Förster graduated with a Performance Artist degree in New Dance from the Amsterdam Hogeschool van de Kunsten. She has taught movement at the Amsterdam and Utrecht Theater Schools and teaches at the Schule der Bewegung in Germany. 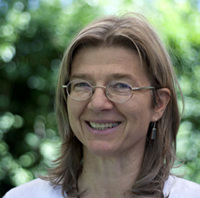 Since 1991, Monika has studied regularly with Prapto in Europe and Java. She has hosted his workshops in Amsterdam for 11 years, including the 11th International Movement Arts Meeting in Amsterdam in 2015. Monika is a practising Buddhist, studies with the Ridhwan School and is a Shiatsu therapist and teacher. 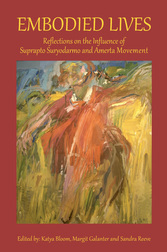 Monika’s life’s work encourages physical awareness, creative expression and body-mind integration.